It sometimes seems that Account Based Marketing is really Marketing Automation 2.0, in that many people leading the charge to ABM were also involved in launching B2B marketing automation ten years or so ago. How none of us has aged a day is a mystery we shan't discuss. One of the lessons learned during the growth of marketing automation was how important it is to get marketers trained in new techniques. The ABM community addressed this early with thought leadership from the ABM Consortium and now more extensively with the ABM University, a project launched earlier this month by the high-energy folks at #FlipMyFunnel. Craig Rosenberg, Co-founder and Chief Analyst at Topo, Inc.
Justin Gray, CEO at LeadMD, Inc. 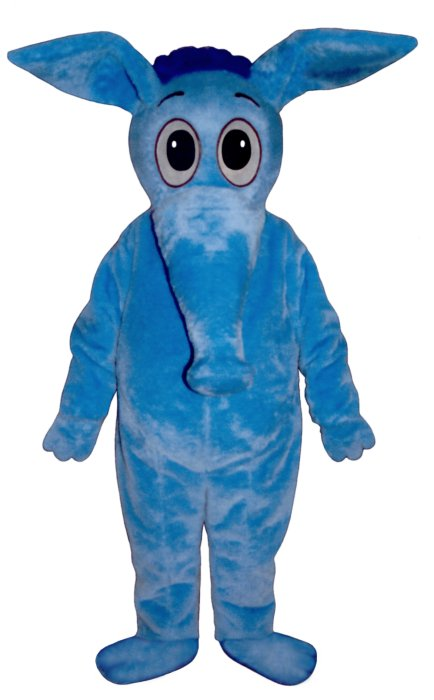 So far there is no ABMU fight song or mascot, although I have pointed out to them that Aardvark costumes are widely available at reasonable prices. Okay, you've downloaded it, right? Good. As you see, the report only presents figures for the industry as a whole. We feel those are reasonably accurate but that data for individual vendors are too unreliable to show separately. That may sound illogical but bear in mind that figures for the larger vendors are more reliable, so many errors that are significant for individual small vendors don’t materially change the total. Also remember that some vendors provided information in confidence and we made estimates of our own for some others. Tag managers. This may seem an unlikely starting point, but it actually makes sense. Tag management was originally about collecting data once (when a Web page loaded) and then sharing it with other systems that would otherwise have their own tags. This gave the Web site owner more control over what went where and reduced the number of tags on each page. The data sharing was similar to what happens in integration platforms/data hubs like Jitterbit and Zapier. So tag managers were always about data distribution. To become true CDPs, the tag vendors had to ingest data from additional sources and send the data to a persistent database. Ingesting new sources can be challenging but vendors could grow incrementally by choosing which sources to accept. Feeding a persistent data is basically just adding a new destination for data sharing. So the transition to CDP offered a reasonable path to escape being a commodity tag manager. Campaign managers. I’m using this term loosely to include companies that offered any sort of marketing message selection. It includes systems that do email, Web site messages, mobile app messages, and omnichannel campaigns. These vendors all started out as CDPs in the sense that they always built unified customer databases. Among other things, this meant that most included reasonably robust cross-channel identity resolution. These vendors didn’t necessarily start by sharing their database with other systems. But they do it now or I wouldn't consider them a CDP. Data assembly systems. This is a bit of a catch-all category but almost every system in this group was designed primarily to create a customer database that would be accessible to other systems. Intended uses included analytics, marketing execution, or both. (I say "almost" because the group includes two systems that built databases primarily to support their own attribution services.) There’s more variety within this group than the other two. But many vendors provide advanced identity resolution and all are strong at providing external access. Here are key statistics for each group. Revenue is split about evenly among the three groups. That’s a bit surprising because tag management is an older and more established category than the others, so you might have expected it to have more revenue. Vendors in the other categories do tend to be newer, smaller, and growing more quickly. Tag management vendors have many more customers and earn less revenue per customer. This largely reflects the original tag management products, which are sold to many non-enterprise customers. But the tag management vendors also have hundreds of enterprise clients. Many of those clients are building the large-scale customer databases we expect to call a CDP. The tag management group also includes a couple of vendors who specialize in building CDPs for smaller companies. These are not as expensive as the enterprise installations. The campaign management vendors average about $100,000 per customer, which is what you'd expect for an enterprise CDP. Revenue per customer is just $34,000 for the data assembly vendors, but that's largely due to one vendor with 2,000 clients. Without that vendor, revenue per customer figures for the data assembly group would be $88,000. Backing out non-CDP clients is why the report puts the number of CDP customers for the entire industry at 2,500. There are other nuances to consider in assessing these figures. For example, several vendors do business through agencies, which makes it harder to count clients and to compare revenue per client. But the over-all picture that emerges is a healthy industry that is already attracting substantial revenue and funding. The report projects a 50% annual growth rate, which yields an estimated $1 billion revenue for 2019. The projection is based on public and private reported growth rates, which actually averaged much higher than 50% on a revenue-weighted basis. The report used 50% to be conservative. While past performance doesn't guarantee future growth, I think CDP revenues will if anything accelerate because most marketers still don't realize what a CDP can do for them. As more of them get the message, CDP adoption should skyrocket. So the future is bright indeed. Artificial Intelligence, Virtual Reality, and Government Control: Perfect World or Perfect Storm? If it weren’t the print edition, I would have sworn today’s New York Times business section had been personalized for me: there were articles on self-driving cars, virtual reality, and how “Data Could Be the Next Tech Hot Button”. That precisely matches my current set of obsessions. It’s especially apt because the article on data makes a point that’s been much on my mind: government regulation may be the only factor that prevents AI-powered virtual reality from taking over the world, and governments may feel impelled to create such regulation in self-defense of their authority. The Times didn’t make that connection among its three articles. But the fact that all three were top of mind for its editors and, presumably, readers was enough to illustrate their importance. - Virtual reality and augmented reality will increasing create divergent “personal realities” that distance people from each other and the real world. - The artificial intelligence needed to manage personal reality be beyond human control. - Governments may recognize the dangers and step in to prevent them. Maybe these points sound simplistic when stated so plainly. I’m taking that risk because I want to be clear. But depth may add credibility. So let me expand on each point just a bit. - Personal reality. I covered this pretty well in the original post and current concerns about “fake news” and “fact bubbles” make it pretty familiar anyway. One point that I think does need more discussion is how companies like Facebook, Google, Apple, and Amazon have a natural tendency to take over more and more of each consumer’s experience. It's a sort of “individual network effect” where the more data one entity has about an individual, the better job they can do giving that person the consistent experience they want. This in turn makes it easier to convince individuals to give those companies control over still more experiences and data. I’ll stress again that no coercion is involved; the companies will just be giving people what they want. It’s pitifully easy to imagine a world where people live Apple or Facebook branded lives that are totally controlled by those organizations. The cheesy science fictions stories pretty much write themselves (or the computers can write them for us). Unrelated observation: it's weird the discussions which Descartes and others had about the nature of reality – which sound so silly to modern ears – are suddenly very practical concerns. - Artificial intelligence. Many people are skeptical that AI can really take control of our lives. For example, they’ll argue that machines will always need people to design, build, and repair them. But self-programming computers are here or very close (it depends on definitions), and essential machines will be designed to be self-repairing and self-improving. Note that machines taking control doesn't require malevolent artificial intelligence, or artificial consciousness of any sort. Machines will take control simply because people let them make choices they can’t predict or understand. The problem is that unintended consequences are inevitable and for the first – and quite possibly the last – time in history, there will be no natural constraints to limit the impact of those consequences. Random example: maybe the machines will gently deter humans from breeding, something that could maximize the happiness of everyone alive while still eliminating the human race. Oops. - Government intervention. Will governments decide that some shared reality is needed for their countries to function properly? How closely will they require personal reality to match actual reality (if they even admit such a thing exists)? Will they allow private business to manage the personal reality of their citizens? Will they limit how much personal reality can be delivered by artificial intelligence? These issues all relate to questions of control. Although there’s an interesting theory* that the Internet has made it impossible for any authority to maintain itself, I think that governments will ultimately impose whatever constraints they need to survive on individuals, companies, and the Internet. This probably means governments will enforce some shared reality, although it surely won't match actual facts in every detail. It’s less certain that governments will control artificial intelligence, simply because the benefits of letting AI run things are probably irresistible despite the known dangers. So, is the choice between having your reality managed by an authoritarian government or by an AI? Let's hope not. I prefer a world where people control their own lives and base them on actual reality. That’s still possible but it will take coordinated hard work to make it happen. I finally caught up with Optimove for a briefing on the Optibot technology they introduced last September. For a bit of background, Optimove is a Journey Orchestration Engine that focuses on customer retention. It assigns customers to states (which it calls microsegments) and sends different marketing campaigns to people in each state. See my original Optimove review from three years ago (!) for a more detailed explanation. What’s new about Optibot is that defining microsegments and picking the best campaign actions per segment have now been automated. Optimove previously analyzed performance of microsegments to find clusters within the microsegment with above or below average results. When it found one, it gave users a recommendation to treat these clusters as separate microsegments and potentially stop promoting to the poorly performing group. Optibit takes the human out of this loop, automatically splitting the microsegments into smaller microsegments when it can. Optibot also automatically tests different actions against people within each microsegment. If it finds that different actions work better for different clusters, it will assign the best action to each group. (In practice, it slowly shifts the mix in favor of the better actions, to be more certain it is making a sound choice while minimizing the opportunity cost of poorly-performing actions.) The system gives reports that compare actual performance with what performance would have been without the additional segmentation and optimization. That’s a helpful reassurance to the user that Optibot is making good choices, and of course a nice little demonstration of Optimove’s value. 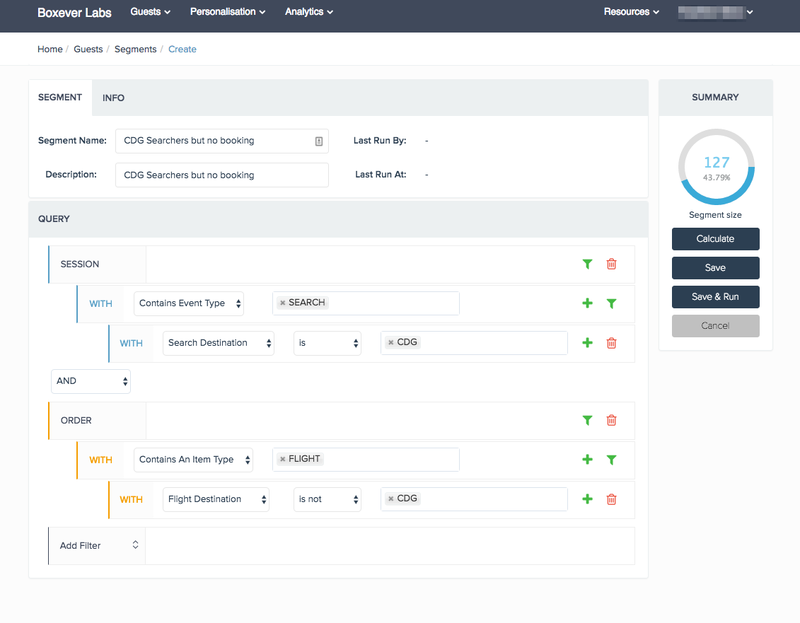 Finally, Optibot provides users with recommendations for things they can do, such as create new actions for microsegments that are not responding well to existing actions. I’ll assume that Optibot does this because it really can’t create new actions by itself, and not just so marketers have something to do other than watch cat videos all day. I’m probably making Optibot sound simpler than it really is. There’s a lot of clever (and fully automated) analysis needed to find the right clusters, given that there are so many different ways the clusters could be defined. Optibot also needs a goal to pursue so it knows which actions and clusters are giving more desirable results. Defining those goals is also still a job for human marketers. Fortunately, it only has to be done when a program is being set up, so it won’t cut too deeply into precious cat video viewing time. Sarcasm aside, the real value of Optibot isn’t that it automates what marketers could otherwise do manually. It’s that it manages many more segments than humanly possible, allowing companies to fine-tune treatments for each group and to uncover pockets of opportunity that would otherwise be overlooked. Marketers will indeed need to create more content, and will no doubt find other productive uses for their time. And, frankly, if Optibot meant fewer 60 hour work weeks, that would be okay too. Everyone loves a good origin story* and Boxever has a classic: the company started as system to recommend add-on purchases on airline booking sites but found that prospects lacked access to customer data, so it pivoted to build customer databases. Similar stories are common in the Customer Data Platform universe but it’s the details that make each one interesting. So let’s give Boxever a closer look. Boxever’s foundation is the customer database. The system can ingest data from any source and has prebuilt connectors for standard operational systems used by its clients (mostly airlines and travel agencies). Data can be loaded in real time during Web or call center interactions, by querying external sources through API connections, or through batch uploads. All inputs are treated as events, allowing the system to capture them without precise advance data modeling. But the system does organize inputs into a base structure of guests (i.e., customers), sessions, and orders. Clients can extend this model with additional objects such as order items. The system can usually classify new inputs automatically and flags the remainder for human review. The system is exceptionally good at capturing the frequently-changing elements peculiar to the travel industry, including location (current and destination), weather (at the current and destination location), prices, available products (e.g. vacant seats and upgrades), loyalty status, and even current flight information. Most of this data is read from external systems at the start of an interaction, used during the interaction to provide context, and stored with the interaction records for future analysis. Again reflecting the specialized needs of travel marketers, Boxever sessions can include things like airport visits, flights, or stays in a location, in addition to the conventional Web site visits or telephone calls. Boxever also provides extensive customer identification capabilities, both to support real-time interactions and to merge profiles behind the scenes. It can match on specific identifiers, such as a loyalty account number, on combinations of attributes such as last name and birthdate, and on similarities such as different forms of an address. It can assemble profiles on travel companions, who are often not as well known to an airline as the person who booked the ticket. It also calculates personal propensities to buy airline services and from specific partners such as hotels and retailers. These propensities are used to make recommendations. All this data is assembled by the system into personal profile that includes attributes and an event timeline. The event timeline captures both customer actions and system actions, such as running processes or changing data. The timeline can be displayed to customer service agents or used as inputs for automated decisions. Users can also define segments and contexts using any data in the personal profile. The decisioning features of Boxever are organized around offers. Users first set up templates for each offer type, in which they define the parameters required to construct an offer. Parameters vary depending on the channel that will deliver the offer and can include text, images, Web links, products and prices (which can be validated against external systems), and other components of the message to be delivered. Other offer parameters include the context in which it's available and actions to take in other systems if the offer is accepted. Actual offers are created by filling in the appropriate parameters. Offers are embedded in decision engines. These contain rules that specify when particular offers are available. The decision engines are connected to delivery systems through flows, which can react to requests during a real -time interaction, listen for an external event such as an abandoned shopping cart, or run a scheduled batch process such as generating a mailing list. A decision engine can be limited to a specific context and contain multiple rules, each with its own selection conditions and linked to an offer. 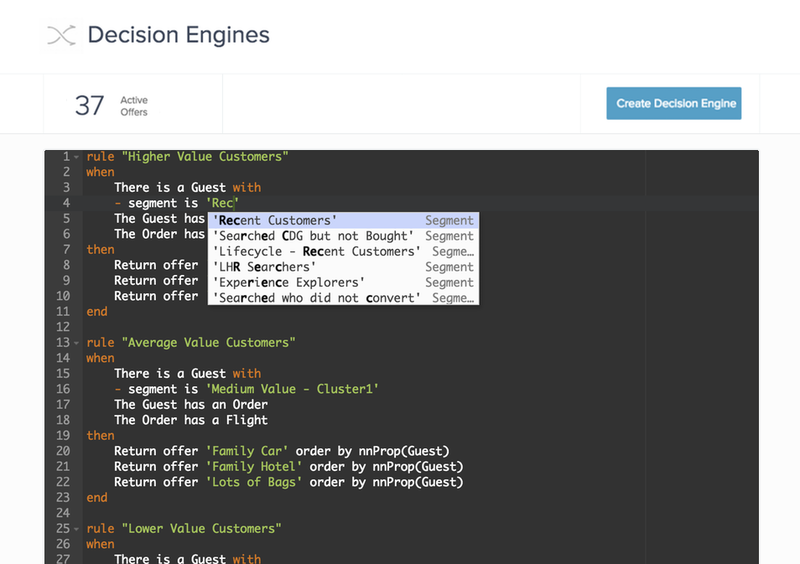 During execution, the decision engine finds all rules that the current customer matches. It can return all the related offers or a limited number. Offers can be prioritized in a user-specified sequence that applies to all customers, or they can be prioritized for the individual based on propensities or other scores. The system provides automated segmentation, predictive modeling, and testing to help find the best offers in each situation. When you strip away the superstructure of offers, flows, and decision engines, the keys to all this are context and rules. Context can limit eligibility for an entire decision engine or a specific offer within an engine. Contexts are defined with a point-and click query builder that allows complex, nested statements. Rules are defined with a scripting language, which some marketers will find intimidating. The scripting interface does provide some assistance such as dropdown lists of available operators, segments, and code snippets. Boxever says some of its clients write their own rules and others rely on Boxever staff to write them. Context is an especially powerful feature. It plays the role of what I usually call “state”: that is, a general description of the customer’s current condition that narroww the range of potential treatments. For example, a customer who is currently traveling should be treated differently from a customer who is planning a trip. But context in Boxever isn’t tracked as state-to-state movement within a comprehensive journey framework, as required by my definition of a Journey Orchestration Engine or JOE. Nor, despite the name, do Boxever flows specify multi-step message sequences. It's possible to creates such sequences within a single Boxever decision engine but it would take some clever rule design. Like most Customer Data Platforms and orchestration engines, Boxever leaves the actual delivery of its offers up to external systems. Flows can connect to email, text messaging, mobile apps, display ads and other systems. Boxever can also integrate with order processing, loyalty, and other operational systems. The vendor says a Web site integration can be completed in several weeks, while more complicated integration may take four to six months. A typical Boxever client has about a half dozen source systems and ten delivery systems. Boxever was founded in 2011 and opened a U.S. office in 2014. Pricing is based on number of active customers or transactions. The company rarely works with clients having less than $100 million annual revenue. Most clients will pay well north of $100,000 per year. The company currently has 20 clients. 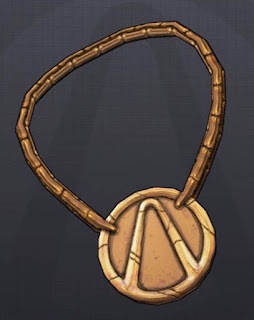 *I myself was found in an unobtainium-lined box clutching a mysterious amulet.